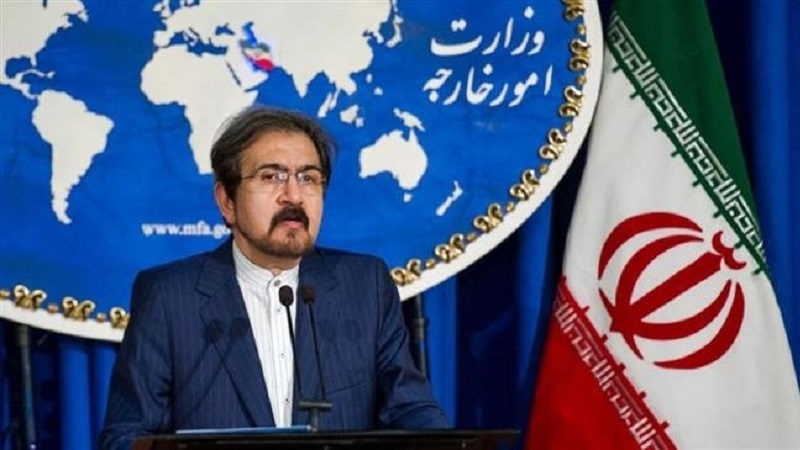 Iran’s Foreign Ministry spokesman says the United States is behind the ongoing humanitarian catastrophe in Yemen by providing arms and financial support for the aggressor states, which have been wreaking havoc in the war-torn country. A round of talks between delegations from Yemen’s Ansarullah Movement and the country’s former Saudi-backed government opened in the Swedish town of Rimbo on Thursday under the auspices of the UN in an effort to find a political solution to the Yemen conflict and end a devastating Riyadh-led war on the country. The negotiations mark the first attempt since 2016 to end the Saudi-led war, which has martyred tens of thousands of Yemenis since its onset in early 2015. Elsewhere in his remarks, Iran’s Foreign Ministry spokesman noted that Iran has repeatedly expressed its explicit and full support for the United Nations’ mission in Yemen to find an appropriate political solution as the only way to solve the crisis in the impoverished country. “Iran’s approach comes at a time that the United States has issued the permit for a devastating and inhumane war against the Yemeni people by adopting a partial, destructive and imbalanced policy,” Qassemi added. He noted that the Islamic Republic hopes that all parties to the Sweden talks would adopt “independent and peaceful” approaches within the framework of national and Yemeni-Yemeni talks to put an end to any intervention by foreign parties and terminate the suffering of the oppressed Yemeni nation. On November 30, Iranian Foreign Minister Mohammad Javad Zarif once again stressed the viability of the Islamic Republic’s four-point plan as the main option for putting an end to the ongoing Saudi-led crisis in Yemen.